15991 S County Road 206, Altus, OK.| MLS# 832291 | CENTURY 21 Altus Prestige Realty, Inc. BRICK HOME ON PAVED COUNTY ROAD JUST NORTH OF NORTH GATE OF ALTUS AFB. 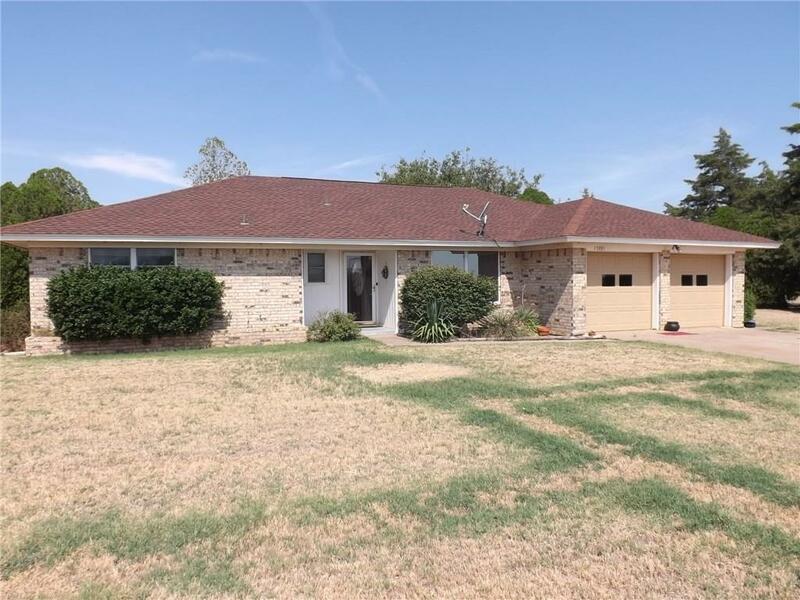 3 BEDROOMS WITH TWO BATHS, HOME HAS HAD MANY UPDATES. The windows have been updated with double pane, roof is about a year old, home has new plumbing. The bathrooms have been updated with new tile, vanities & fixtures. No carpet in this home. Some new wood plank tile & new heavy vinyl wood look flooring. Two living areas, dining area, white cabinets, all black appliances which were replaced in 2017 will stay. Home is on .9 acre of land with a detached two car garage 23 x 23 with overhead doors. Would make a great workshop or more storage for your extra vehicles or toys. Jackson County water, total electric home, also has a private well in back. Lots of trees, covered patio, whole house surge sub-pressor on meter.